Money and time go hand in hand in the construction business. Here at First State Contractors, we understand that. Coordinating the many perspectives of owners, users, and contractors takes expertise and special skills to make it happen on time without heavy handedness. It all begins with good scheduling which involves taking into consideration the many factors its takes to build a project. Meeting a project’s safety requirements, cost, quality parameters, and time constraints in a positive manner is First State Contractors expertise. Our process for our people says managers first think the process through before any work begins. They give an overall structure for the planning and the project. 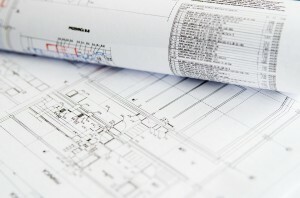 Then our hand picked experts “work the plan” and provide the necessary details to accomplish their part of the project. Meeting together we all identify possible problems before they arise. Once the project starts at every level it becomes monitored. We problem solve for solutions on the spot. Never controlling but facilitating and engineering a way to meet all those perspectives with a smile on our face and a calm manner that all will get done in a timely manner within the ranges and tolerances given. Try our process here at First State Contractors and join the ranks of our many satisfied customers by calling 866-398-9103 or contacting us here.